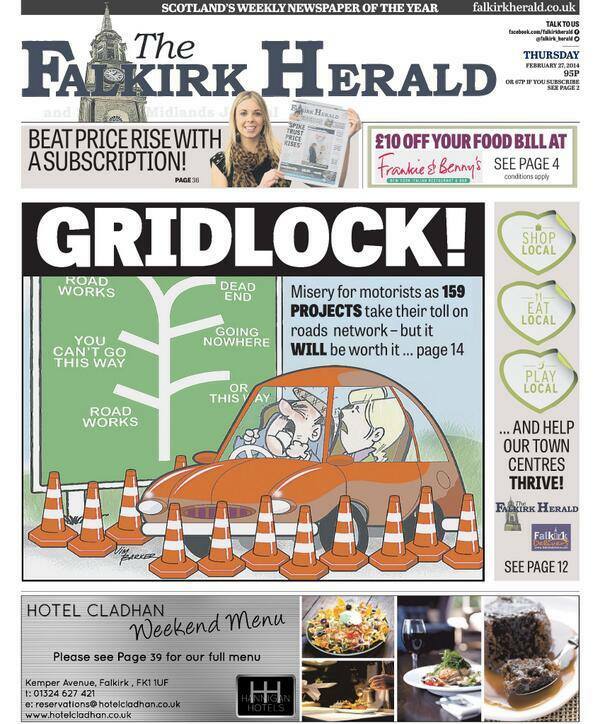 Jim Barker’s art featured on the Falkirk Herald’s front page yesterday, teasing a prediction that major traffic disruptions will be created by 159 local road projects. Barker, a professional cartoonist and illustrator, won the 2013 Rotsler Award for his fan art. 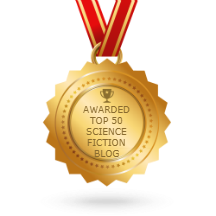 Jim Barker, the Scottish fanartist, has won the 2013 Rotsler Award, given for long-time artistic achievement in amateur publications of the science fiction community. Established in 1998, the award carries an honorarium of US$300. Barker is renowned for his instant cartoons and prolific output. His sharp sense of humor and drawing skills have enriched fanzines and carried over to his work as a graphic artist and illustrator – see http://www.jimbarker.net/. Barker is a past Hugo Award nominee and winner of the Checkpoint newszine poll for Best Fanartist. 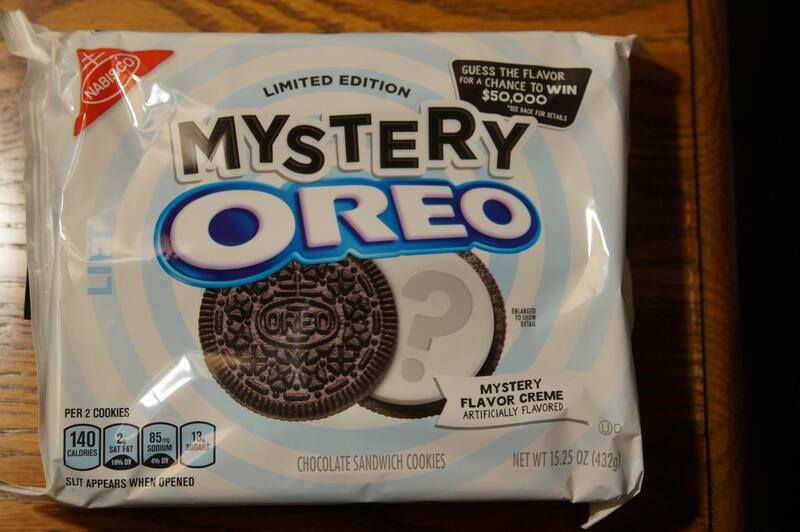 The award was announced on Saturday, November 30, 2012, at Loscon, the annual Los Angeles SF convention. This year’s convention was Loscon 40.